The raging feud between Saudi Arabia and Canada has hit the United Nations. On the margins of the 2018 UN General Assembly session in New York City this week, Saudi Arabia’s foreign minister equated Canada’s call for the release of Saudi women’s rights activists to his own country demanding “the immediate release and independence of Quebec”. Adel al-Jubeir called on Canada to apologise for demanding the activists’ release, and to stop treating the kingdom as “a banana republic” if it wanted to resolve the diplomatic dispute between the two countries. In August, Saudi Arabia froze new trade with Canada, blocked grain imports, expelled Canada’s ambassador and ordered all Saudi students home after Ottawa called for the release of activists detained for urging more rights for women. “It is outrageous from our perspective that a country will sit there and lecture us and make demands. ‘We demand the immediate release’… Really?” Jubeir said at an event at the Council on Foreign Relations in New York on Wednesday, as reported by Reuters. “We demand the immediate independence of Quebec and the equal granting of rights to Canadian Indians,” which Canada refers to as the First Nations indigenous people, the minister then added, sarcastically making the comparison to illustrate his point. “You can criticise us about human rights, women’s rights… others do and that’s your right,” said Jubeir. “You can sit down and talk about it, but demand the immediate release? What are we, a banana republic? Would any country accept it? No! We don’t,” the minister added. 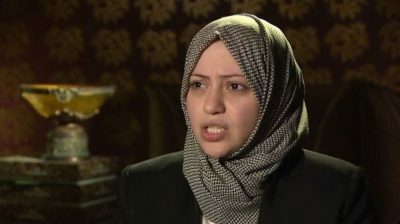 The dispute arose from Canada’s criticism over the arrests, including that of prominent women’s rights campaigner Samar Badawi. Her brother Raif Badawi, a prominent blogger, is serving a 10-year sentence and has been publicly flogged for expressing dissenting opinions online. His wife and children live in Canada and are Canadian citizens. A number of women’s rights activists, who campaigned for the right to drive and an end to the kingdom’s male guardianship system, have been targeted in a government crackdown in recent months, human rights’ groups say. Jubeir said Canada could easily resolve the situtation by apologising for its actions. “We don’t want to be a political football in Canada’s domestic politics. Find another ball to play with,” he said. Canadian foreign minister Chrystia Freeland said on Tuesday that she hoped to meet with her Saudi counterpart this week on the sidelines of the United Nations General Assembly. However, the minister said that Ottawa would not be changing its fundamental position. “Canada will always stand up for human rights… we feel a particular obligation to women who are fighting for their rights around the world,” she said. Germany and Saudi Arabia agreed earlier this week to end a diplomatic dispute between their countries. The spat started last November when Sigmar Gabriel, Germany’s foreign minister at the time, condemned “adventurism” in the Middle East, comments seen as an attack on increasingly assertive Saudi policies, notably in Yemen. Saudi Arabia is scheduled to speak on Friday at the UN General Assembly – and it remains to be seen whether Canada will again be the target of its ire, but this time on a larger stage.